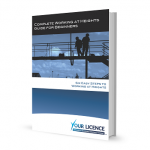 By purchasing this product, you are accepting that you need to provide a copy of your old Working at Heights licence or ticket in this training. If you are unable to do so, no refund will be offered. Yes, I understand this condition of purchase. 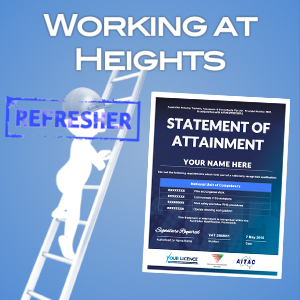 The Working at Heights Refresher course (also called Work Safely at Heights Refresher) has been created to re-confirm your knowledge of all safety and practical aspects of height work. This course will also allow you to regain a sound understanding of all legal requirements which apply to the job. Entering the area, carrying out work and finalising work safely when at heights. 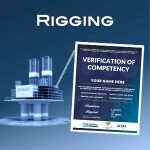 All components of this course are delivered 100% online. A printed pack version of this course is also available, and can be purchased by using the drop-down menu above on this product page. This training is appropriate for workers who already hold a Working at Heights qualification, and are seeking to update their training. 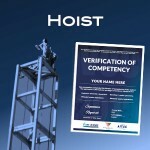 Note: You must hold a current Working at Heights licence, ticket or statement of attainment to complete this training. You will be required to provide a copy of this to us in order to successfully complete this course and receive your certification. An online Learners Guide which includes nine modules. The Learners Guide provides all required theoretical information in a user-friendly and interactive online format. Each module also includes a range of self-test questions, which help you to check your learning as you go. 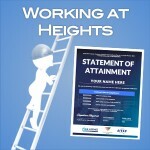 An online practical self-assessment to test each student’s capability of carrying our practical tasks relating to working at heights. All components of this course are 100% online, or can be completed as a printed version. 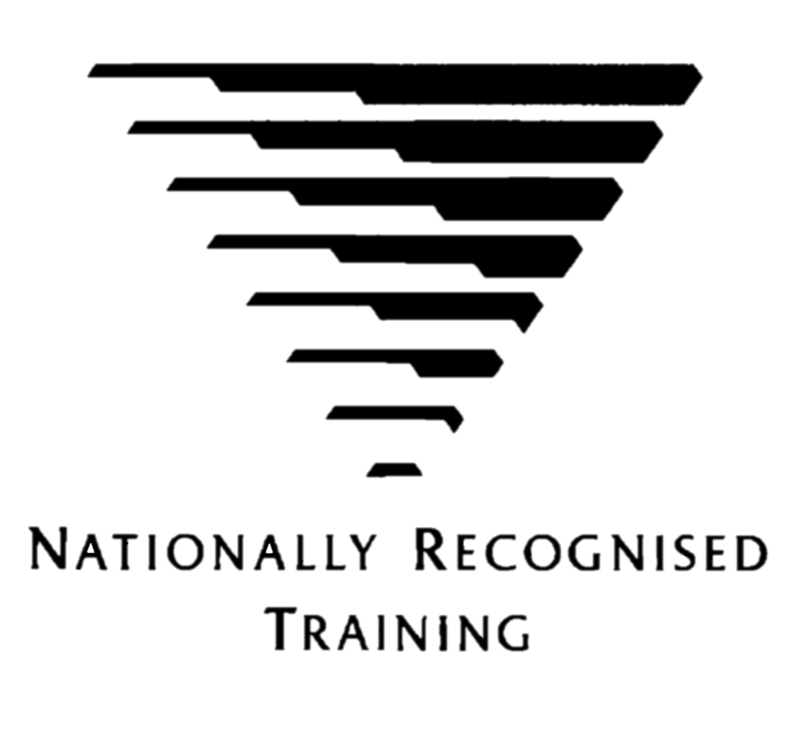 SKU: 77. Categories: High Risk Work, Industry Online Courses, VOC (Verification of Competency), Working at Heights & Confined Space Entry.